It's very exciting for me to have Rae Summers here, a fellow South African and a writing friend. 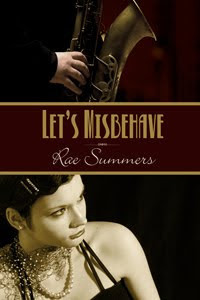 Rae's debut book, Let's Misbehave, releases today from Wild Rose Press. I was priviledged to read this in raw form, and absolutely loved it. Gabrielle is the quintessential Flapper, a wild child who turns her back on home and a resentful and unloving mother to become a nightclub singer. She wants nothing more from life than freedom and pleasure. Sebastian is a dutiful son, following in his father’s footsteps and on the verge of marrying a suitable bride. But as the Twenties roar to their conclusion, he finds himself torn between duty and the urge to indulge his adventurous streak. From the moment Gabrielle and Sebastian meet, the tension between them simmers. When he rescues her from a boorish suitor, Gabrielle discovers a kindred spirit beneath Sebastian's serious demeanour, and she sets out to seduce him into one last passionate fling before he settles for a loveless marriage. But the fire that burns between them threatens to consume her. 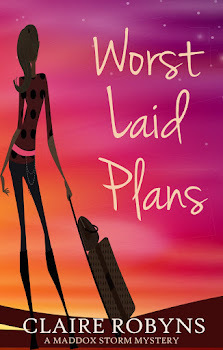 Will Gabrielle survive falling in love with the one man she cannot have? Want more? Want to see the trailer? Here you go! Rae's first grade teacher was so seriously concerned by her day dreaming that she called her parents in for a conference. Fortunately, her parents staunchly defended Rae's right to daydream and these days she's able to prove their faith right by turning those day dreams into novels. She hopes her stories bring as much pleasure to her readers as they bring to her. Rae Summers lives in South Africa where she works in television advertising, a line of work that is only glamorous on very rare occasions. When she isn't working or being mom to two young daughters, Rae can be found with her nose in a book. Rae, can you tell us a little about the making of Let's Behave? The characters for this story came into my head fully formed as I was driving home from work one day and singing along to the song 'Let's Misbehave' from De-Lovely (the biopic of composer Cole Porter). That song not only sparked the idea, but is also integral to the story - you'll have to read it to find out how. After that, the novella practically wrote itself in less than a week, the words pouring out of my fingers. It's taken considerably longer to get to publication. Is there a character in your book that you love to hate? If you had to pick just one (the worst) and invite her to tea or him to the pub for a drink, what's the one question you're dying to ask? My least favourite character in this story fortunately never made it onto the page, and that was Gabrielle's mother. 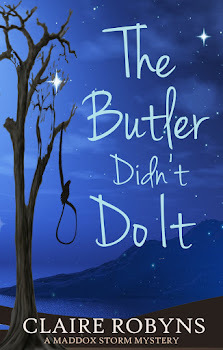 There are hints of Gabrielle's unhappy childhood and her relationship with her mother, a hard, unloving woman jealous of her daughter, but she is already history by the time the story starts. I'd definitely ask her to the pub rather than to tea. And how would he/she answer? That would be a tough choice simply because I have so many stories floating around in my head that I wouldn't know which one to choose. One of the stories that's clamouring loudest right now is a light paranormal. I'm putting the finishing touches on another novella set in the 1920s, this time set on the Amalfi coast of Italy, and I'm also rewriting a full length contemporary while I wait for a response on the partial I've already submitted. More immediately, I'm attending the RNA conference in Greenwich this weekend and expecting to come away more inspired than ever! Glad to hear your daydreaming never stopped Rae! Now we can enjoy the fruits of those dreams in story form. Good luck with Let's Misbehave. Enjoy all the excitement of your release day and the RNA conference. Let's Misbehave is a wonderful read, I thoroughly enjoyed it! Thanks for having me here, Claire. The RNA conference was fantastic and though it was hard-to-top I also an incredible couple of weeks holidaying in the UK afterwards.